Tifa is one of the primary members of your party in Final Fantasy VII. She’s a fierce hand to hand combatant motivated by her concern for her friends and her desire for a better, more habitable world. 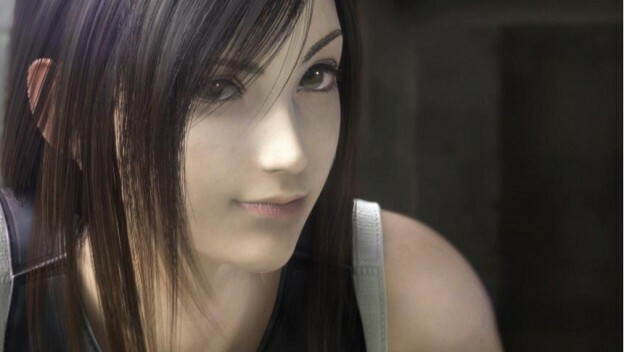 Tifa initially request the help of the game’s main protagonist, Cloud Strife, because the rebel group she is in is planning an attack on a reactor that is rapidly damaging the environment. At least, that’s the surface reasoning. Cloud is also a childhood friend of hers and the two have been through a lot together. As she gets reacquainted with Cloud, she begins to realize that he has changed. A large part of Tifa’s quest starts to revolve around helping Cloud because of her deep love for him. It is a selfless love, even though she is jealous of the Cloud’s other romantic interest, Aerith, and she continues to help him without any promise of a relationship. Tifa has ambition, noble ideals, an unrivaled compassion, and virtuous intent. For these reasons, she would make for an amazing romantic partner. Also, she’s not exactly hard on the eyes.